I can’t recall the specific year I first attended RSA Conference, but it was certainly back in the early 2000s while working in product delivery at Symantec. I attended several more times representing a few more InfoSec vendors I worked for over the years. As I moved on from vendor-land and into the role of journalist in 2010, I began to look at the conference scene in a different light. I explored the topics, sessions and vendor messaging more from an analyst’s point of view, looking for trends and anomalies in the market’s messaging and tech stack, as opposed to doing deep dives into specific vendor products and product features. After I transitioned into the role of editor-in-chief for ITSPmagazine, I maintained this desire to keep an analyst’s viewpoint as one perspective for the publication, but I now have a much deeper appreciation for the whole of the conference beyond market trends and tech buzzwords. In fact, the last four years have been wildly different in and of themselves. During my first conference as the editor-in-chief for ITSPmagazine, I continued to work hard at absorbing as many conference talks and sessions as humanly possible, balancing this session time with spending as much time in the expo hall as humanly possible. This required that I function as two humans, which made for a very long week. Looking back on this now, I see myself having operated as the same reporter I was in years prior; it just happened that I was writing for a new publication – this time a publication I helped co-found. 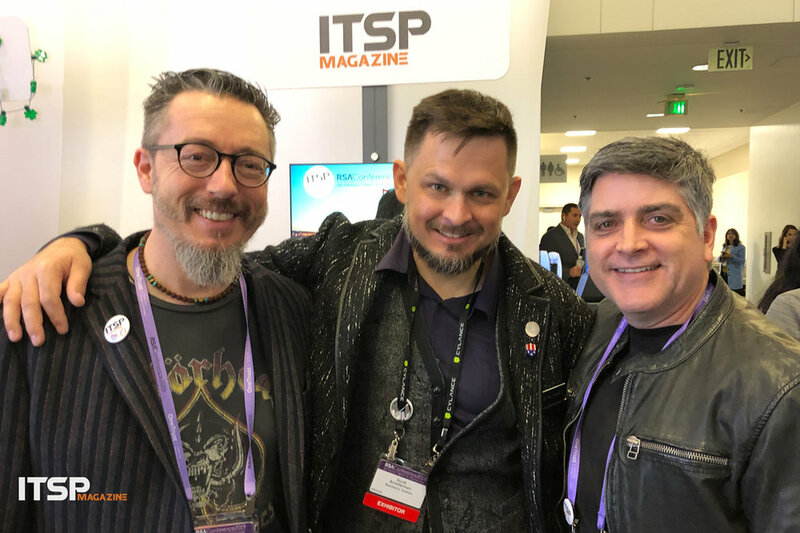 In the second year, ITSPmagazine partnered with RSAC as an official media partner, changing the way we engaged with the conference. More specifically, we began to look at the conference topics ahead of the event and shift our activities and conversations toward our vision of connecting IT security with society. We also partnered with BrightTALK to effectively launch what has become ITSP.TV. The topics we covered with BrightTALK were IoT, Diversity, and Security Awareness. In the third year, ITSPmagazine was again an official media partner for the conference. This year, we nearly doubled our partnership plans with BrightTALK, delivering five live panels on the topics of Cloud, AI and ML, GDPR, Breach Response, and Emerging Threats. We launched our Chats on the Road series and our Itineraries on the Road series. It was also the year we teased out the initial episode of our Unusual Gatherings Talk Show (thank you Bugcrowd for hosting us!). We connected with a ton of experts to launch our Their Story podcast series. It was an extremely busy time before, during and after the conference, to say the least! This year—my 4th year attending as ITSPmagazine’s editor-in-chief—we decided to take a different tack: to focus on immersing ourselves in the community. To this end, we chose to select a kiosk in the expo hall as part of our 3rd-year media partnership with the conference. It was in a great location (at the entrance of the North Expo hall) and loads of people stopped by. We also chose to not get a scanner: no scanning at our booth! This allowed us to be in the middle of the conference attendees, meeting new people and seeing old friends. Speaking of friends - we extended our friendship and partnership with CyberSN as they helped us keep our booth staffed throughout the week. 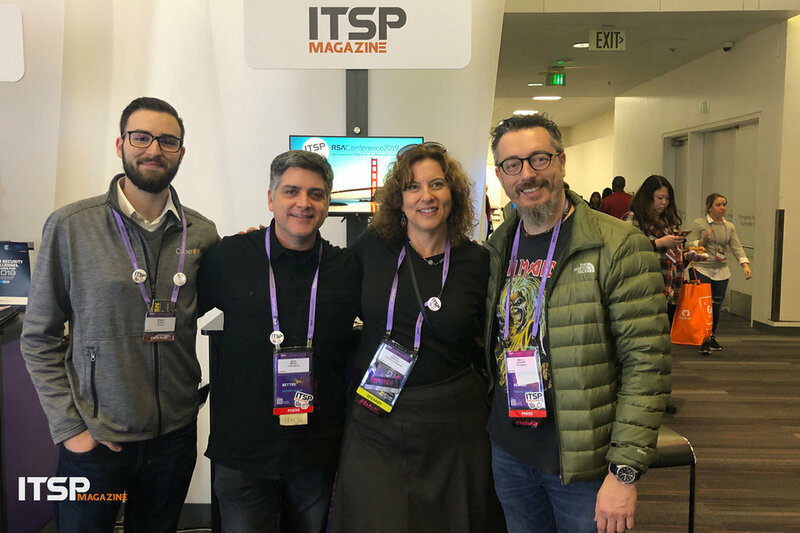 Thank you Deidre Diamond and the entire CyberSN team for supporting the industry with individuals interested in raising awareness and having conversations around cybersecurity (vs. being there solely to scan a badge without even knowing why the person being scanned is there). We also invested heavily in our podcasts, conducting a number of interviews during the conference, capturing 21 Chats on the Road episodes, and eight daily updates from the conference venue at the Moscone Center. 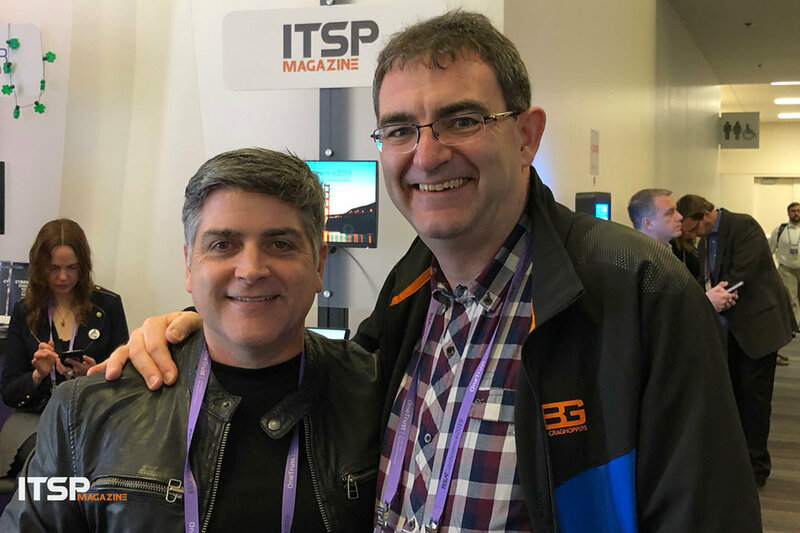 We were also given precious time in the RSA Conference Broadcast Alley where we filmed two new Unusual Gatherings Talk Shows. The theme was “The Future: 2025” where we covered two column topics: The Cyber Society and The Role of the CISO. We also captured more than 10 Their Story podcasts (coming soon). Looking back at all of this while reflecting on our journey that started in 2016, I am excited for where things are headed for our publication, our team, and the cybersecurity community in which we live and work. We believe in our community and our colleagues throughout the industry and are working hard to capture and share their stories of both success and challenge. We are looking at how we, as a community, are doing our jobs and how that work is impacting the way we feel. I specifically have a deep interest in how the tech stack can be leveraged (i.e. operationalized) in ways that can make our practitioners’ jobs easier, make them more successful, and alleviate some of the stress and burn-out while doing their job. And, to this point, during the week, I had the pleasure of supporting a number of initiatives that will make the difference for the future of our industry and profession. The work that our friends Karen Worstell, Rick McElroy, Gary Hayslip and Ryan Louie are doing is paramount to helping us all recognize and deal with stress and other mental health issues impacting our own and our colleagues’ ability to be the best they can be. We’ve been having these conversations for a while now, and I was thrilled to see that the RSA Conference agenda included these topics throughout the conference. Another conversation we’ve been having revolves around the training and education—and overall preparation—for the next wave if InfoSec professionals. With this, it was an absolute pleasure to meet Heather Ricciuto, Academic Outreach Leader at IBM Security, and to have a conversation for our The Academy column during the conference. The work Heather is doing is phenomenal and all organizations should take a leaf out of IBM’s book for how to fill the InfoSec talent pipeline as opposed to just sucking it dry. Another area of interest to me, as is often captured in my column, At the Edge, is how to operationalize the tech stack to not only overcome the challenges companies face, but also to overcome the challenges that the InfoSec practitioners face. To this end, there were two activities that I engaged in. 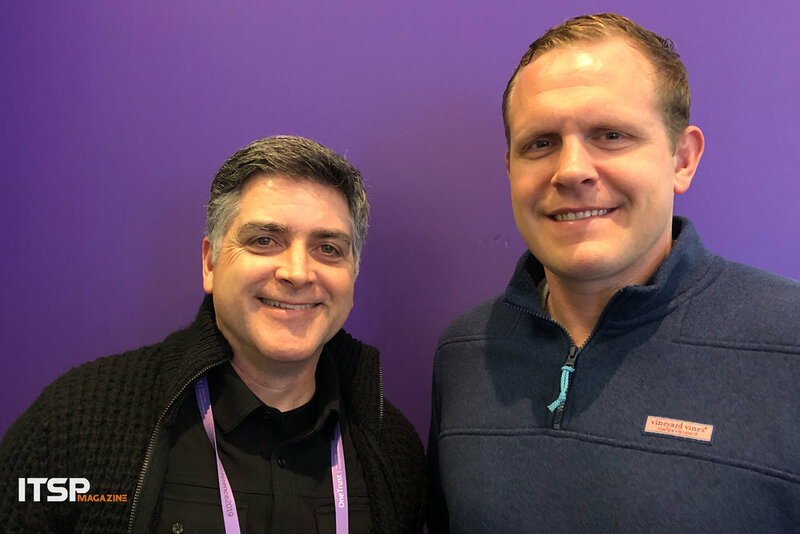 First was an interview I did with Taylor Lehmann from Wellforce where we looked at some of the hit topics CISOs were discussing within and around the conference. The other was one of the special Unusual Gatherings Talk Shows we filmed where I had the chance to connect with three experts who offered a diverse perspective on the role of the CISO in 2025. I’m thankful to have had Sian John from Microsoft, Candy Alexander from ISSA International, and Allan Alford from Mitel join me for this on-camera session filmed in the Broadcast Alley in the Moscone Center. One final point I’d like to make is the passion emanating from the attendees this year. The people in attendance are in this profession because they care about society’s well-being. Each plays their own role in educating, protecting, defending and responding to threats at both the business and the personal level. It was great to see, hear and feel this passion first-hand – which we were able to do much better this year by having our feet on the street and our kiosk in the expo hall. Actually, one more final point. While previous years seemed to be extremely taxing in terms of running around to be in what felt like a gazillion places at once, I arrived back home following the conference this year feeling exhilarated – not exhausted. It was refreshing and I feel teed up nicely to continue the conversations online and at some more conferences in person the remainder of this year. I hope to see you out and about soon—and hope we have a chance to tell each other some stories in the process. Wait, wait, wait — one more thing. A HUGE thank you to our tremendous friend and on-site reporter, Thom Langford. Thanks for being there and representing our team so well! Older PostWhy Do Phishing And Business Email Compromise Even Exist?